I was coloring a little girl for a graphic I am working on and I realized that I was going to color her in a different way than I have shown before, so you get this fun tutorial. Usually I talk about coloring by layering colors in the same family, starting light, and adding dark, then going back and blending with the same light color. Today I'm going to show you how I sometimes blend with an entirely different color. In this image, I want a blue overtone, but I had a limited color range (I was being too lazy to walk into the other room and get all my markers). So, rather than start with a light blue, and gradually work darker, I started with a BG sequence. 1. 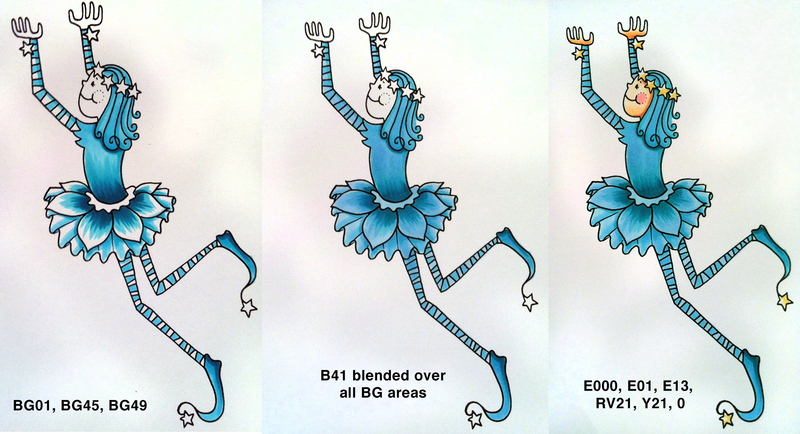 In the first image, you can see I had BG01, BG45, and BG49. I added colors as layers, just like normal. 2. Here I added my more subtle blue tone by layering B41 over the whole image. I used it to blend, instead of the BG01, because the BG01 was too intense, and I needed a softer tone. Notice how the shadows retain their intensity, but the highlights now have a softer blue tone, and many of my harsh lines have softened (my final output will be very small, so i am not trying to blend out all streaks. 3. Last, I added the other colors to finish off the image. Because B41 is still in the same similar range as the BG family, you don't see much subtle variation, except that the BG has lost it's intensity. But what if we totally switched color families? Here is my second example. 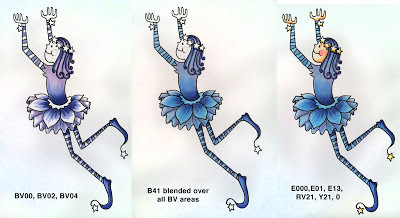 In this case, I did exactly the same thing, but I started with the fairy in the BV family. When you look at the second image, notice how the pale blue totally changes the whole feel of the artwork. I like this purple sequence much better. The blue highlights really set off the purple shadows. So, in each case, only the base color changed. I know I have talked about base colors in the past, but I really want to drive the point across that the base color can change the whole feel of your work. This is a great way to work with a limited color range, or to match an image to a specific paper. I hope I inspired you to experiment a bit with your color range, have a Happy New Year! Do you have a dream this year of taking one of our Certification classes? Register Now! Every year, people wait until after the new year to register, and then they get surprised when classes are full. Beat the rush and register today! Freshened up for 2013, these classes are the perfect way to gain a solid foundation in using Copic markers. Learn how to choose papers and ink, how to blend, and experiment with airbrushing. For more details, please visit our website and download applications and information on each class. Our new project-based intensive workshop! Come spend two days perfecting your Coloring skills and creating amazing new projects. Explore coloring on a variety of surfaces, and get an in-depth airbrushing experience. The only prerequisite is the Standard certification. You can register at the Copic Website. Jan. 10-11th Anaheim CA Register Today! Feb. 22-23rd Orlando, FL taught by Colleen Schaan and Sherrie Siemens Register Today! I can't believe that it is almost 2013! Wow! This last month has been crazy here at the US Copic Headqaurters. Imagination International, (we're the Copic importers for North America) moved locations, consolidating a few scattered warehouses into one new, centralized location. Which meant that I had to move into a new office and I got behind in updating about classes (but now I have a clean office and I feel so much more productive). January 9, 2013 Anaheim, CA (CHA) taught by Lori Craig almost full!! Jan. 10-11th Anaheim CA about half-full! Register Today! Happy December! I was coloring something white this weekend and realized that I had not updated my white swatches in a while. None of them were what I wanted, so I figured I needed to make some new swatches for my color sample book. Do you have a swatch book? One of the first things I suggested years ago on this blog was to keep a swatch book. I use small, 5 x7 portfolio books to keep track of my colors. Always write down the paper you are using and what colors you try. 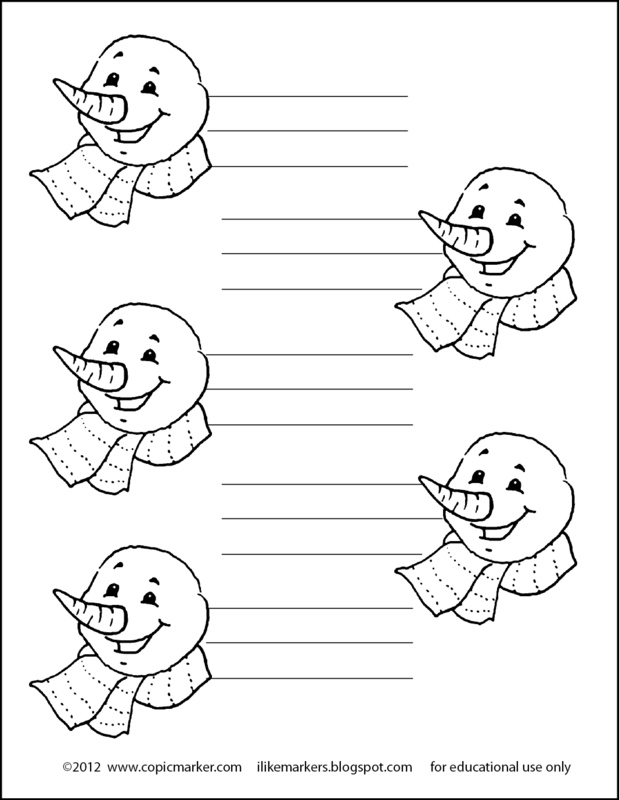 I made this handy chart that you also can download to try coloring your whites with. When I make swatch sheets, I frequently like to keep one color the same and swap out the other color. In this colored example, I kept my C1 the same on each image, and swapped out the different blues. On the next page, I'll still keep the C1, as I think I like it, but I am going to try shadowing with purples or BV's. 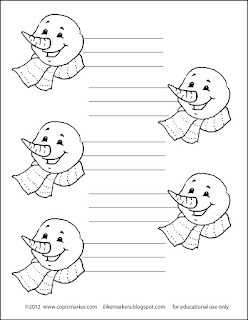 For full directions on coloring a snowman or things that are white, I have some really old directions here, or coloring white objects is discussed in my book The Copic Coloring Guide Level 2 : Nature. Meanwhile, here is a copy of this chart for your very own use! This handy chart is sized to be a 1/4 page. You are welcome to download it and use it for your own personal swatch books, or you can use it for a class if you are a teacher. Please do not sell the image, as I am sharing it with you for free.